As I am someone who doesn’t actually eat Christmas cake, you might think it’s a bit strange to go to all the bother of making one. I like to set myself little challenges and see if I can do new things. 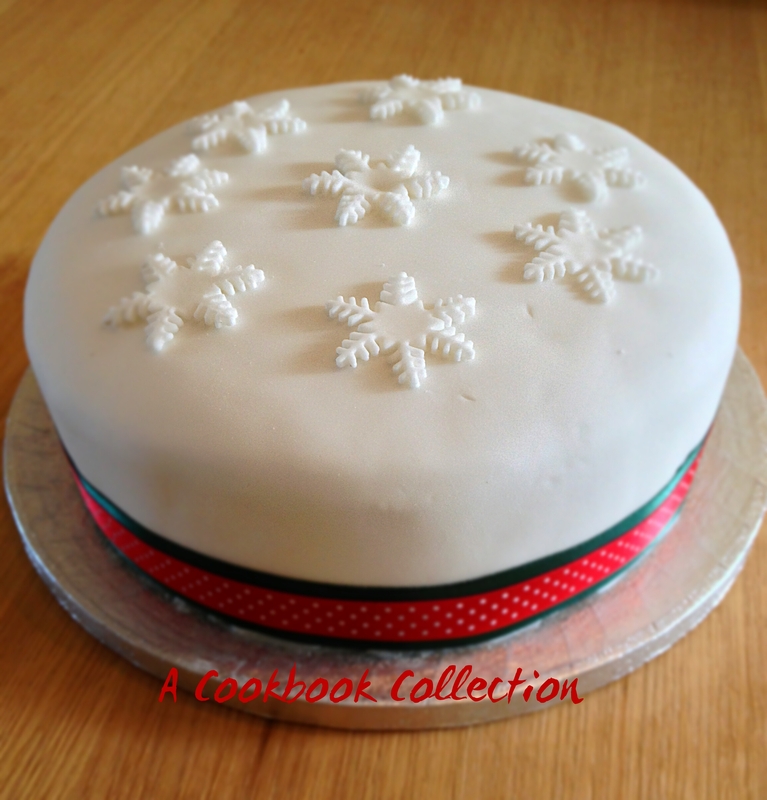 So a couple of years ago, a Christmas cake was my challenge to myself. I made a couple of different cakes, handed them to the Christmas cake eaters and this was voted the favourite. This is a very dark, rich fruit cake. So now this is the recipe I always use. 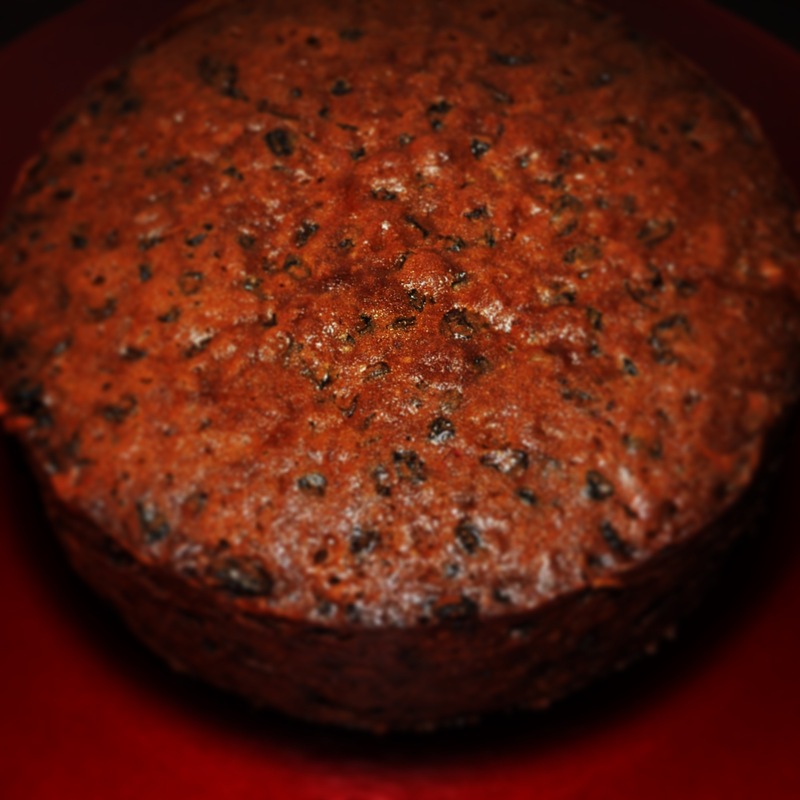 I do actually like the cake – as much as I can like a fruit cake – it’s the marzipan and icing that I’m not fond of. I wouldn’t dare leave them off of it though! I made mine last weekend to allow flavours to develop, admittedly later than I had planned, but there is still time to make a cake that will be delicious by Christmas. The cake needs to be started the night before you actually want to bake it as the fruit needs to soak in the brandy overnight. Take the rest of the ingredients out then too to make sure everything is at room temperature before you start. Delia suggests making a list of the ingredients and ticking them off as you add them to the mix. This is a good way to make sure you have included everything. You will need 3 large bowls for this and an 8″ round or 7″ square cake tin. This recipe is back on Delia’s own website and you can find it here. Below are some tips that might make your life a little easier when making the cake. You need to begin this cake the night before you want to bake it. All you do is weigh out the dried fruit, cherries and mixed peel, place it in a mixing bowl and mix in the brandy as evenly and thoroughly as possible. Cover the bowl with a clean tea cloth and leave the fruit aside to absorb the brandy for 12 hours. Next day prepare your cake tin. I grease the tin, line with parchment paper and then tie 2 layers of brown paper around the outside of the tin. This is to protect the edges of the cake as it will be in the oven for so long. There is a great guide here on Delia’s own site on how to line and prepare your cake tin. Don’t try to pour the batter into the tin. Instead transfer the cake mixture into the prepared tin with a large spoon or ladle and spread it out evenly. Covering the top of the cake with a double square of silicone paper with a small hole in the centre will stop the top from browning too much. Remember to feed the cake at regular intervals, I usually do it every 5 days. You can leave the cake un-iced if you wish. Delia places blanched almonds on top before baking if not icing. Others use various nuts and dried fruits to decorate. I do ice these cakes and to do this, I use ready made marzipan and fondant icing. The first time I did them I made the mistake of doing both the marzipan and icing on the same day – it made the surface of the icing bumpy. I have since discovered that the marzipan needs to be on the cake several days before topping with the fondant icing and that the fondant icing needs to be on the cake several days before eating. These videos by Dan Lepard are very helpful to show how to do this. This video shows how to do the marzipan layer and this video shows how to do the fondant icing.